The story is set over the course of eight days, but you probably guessed that from the title. It focuses around 17-year-old Matty, with the back drop his small rural home town. At the start of the story Matty’s dad runs off, leaving Matty and his mum to pick up the pieces. Matty feels lost and unsatisfied with his life. We see him drag his feet all through day one, perking up when he spots a strange girl in the field next to his house late that night. The same field that a space ship supposedly crashed in back in the 60’s. The girl says she’s an alien. Matty thinks she’s nuts, but humours her, worried about her welfare. Matty feels an intense connection to her early on. And takes it upon himself to keep an eye on her, as she is determined to stay in the field all night by herself, waiting for a spaceship to pick her up. It is summer holidays and with nothing much to do Matty keeps finding himself drawn back to the field and the strange girl. 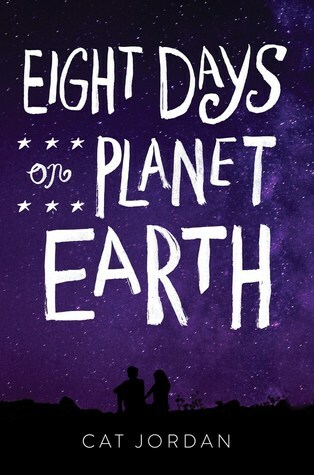 They spend the next five days together hanging out in the field and around town, the whole while Matty is trying to figure out what the strange girl’s deal really is, where she really comes from and why she was really camping out in the field next to his house – this takes up most of the book. Matty notices that the girl’s health is deteriorating and presses her to tell him the truth about who she is, she of course does a runner. AND I can’t say much more without giving everything away. I will just say that “somehow” Matty manages to track her down and that the book’s ending is both heart-warming and heart-breaking. At first, I was torn as to whether the girl (Priya) was an alien or not. I want to believe. I always want to believe. At one point I almost expected a spaceship to come and pick Priya up. I even went and checked if the book was actually listed as YA contemporary and not YA sci-fi. Either way, alien or not, I enjoyed the story. The writing was easy to read, and the story followed well. The chapter headings were split into days and times which helped propelled the story and add tension. All in all, it was a Quick and enjoyable read. 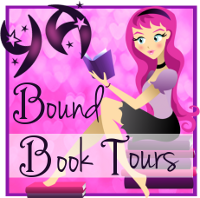 Thank you for the review copy, Cat and YA Bound Book Tours. This entry was posted in Book Reviews: ALL, Book Reviews: YA only and tagged blog tour, book review, book tour, Cat Jordan, Coming Soon, contemporary, contemporary romance, contemporary YA, Eight days on earth, new release, romance, YA Contemporary, YA Fiction, YA romance, Young Adult, Young Adult Book Review by Sarah "SacaKat" Fairbairn. Bookmark the permalink.